Sometimes you need to point the camera up very high to find Minimalist Shots. 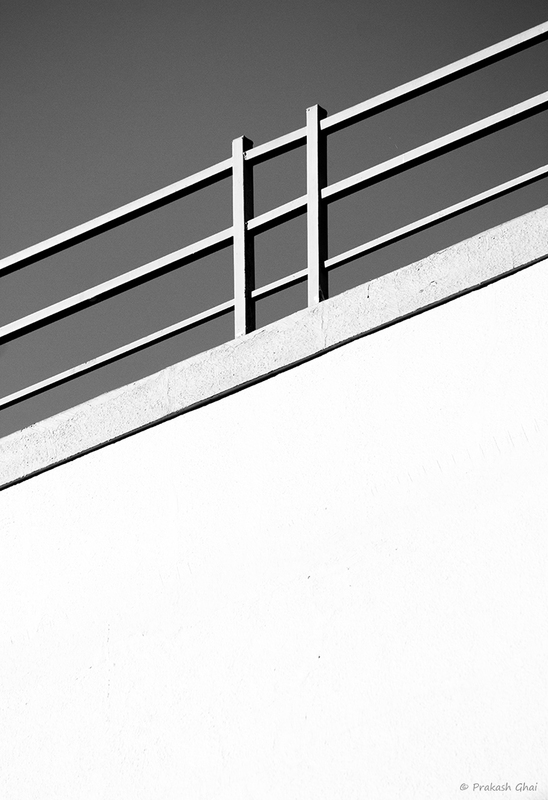 The above photo is an example as to how to use the railing of a terrace of a high rise building, to compose a Minimalistic Frame. I turned the camera to the vertical position, in order to add a fresh perspective and to leave negative space under the railing. The negative space in turn enhanced focus on the lines. I then converted the photo into black and white, to do away with the color distraction in the photo. Black and White also aided in bringing an artistic feel.